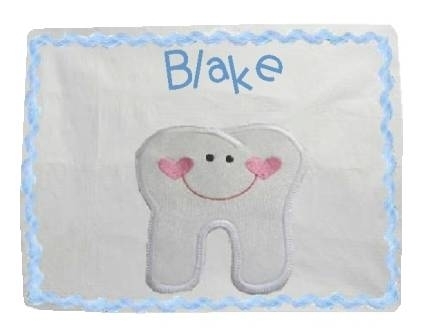 Make something special for that little lost tooth!What a fun gift idea or even make to sell! 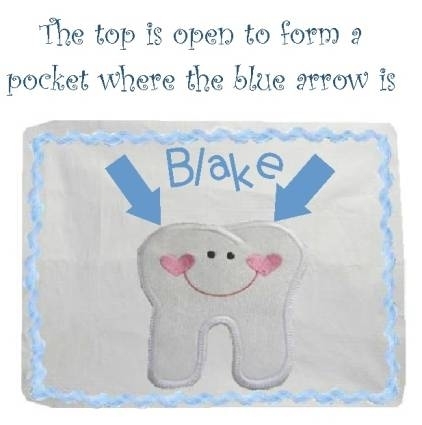 This in-hoop tooth fairy pocket comes in both 4x4 and 5x7 sizes! Directions are included on how to put this fun project together! Finish Size 3 (1/4)" x 3 (3/4)"
Finish Size 4 " x 4 (9/16)"